The Surface with Windows 8 Pro, the bigger brother to the Surface RT and Microsoft’s first hardware device to go head to head with its OEM partners in the full-spec’d PC space, represents Microsoft’s new direction at every corner. The Surface Pro is a device that gives you laptop class performance in a versatile form factor, and is marketed for nearly all usage scenarios including the consumer and the enterprise. 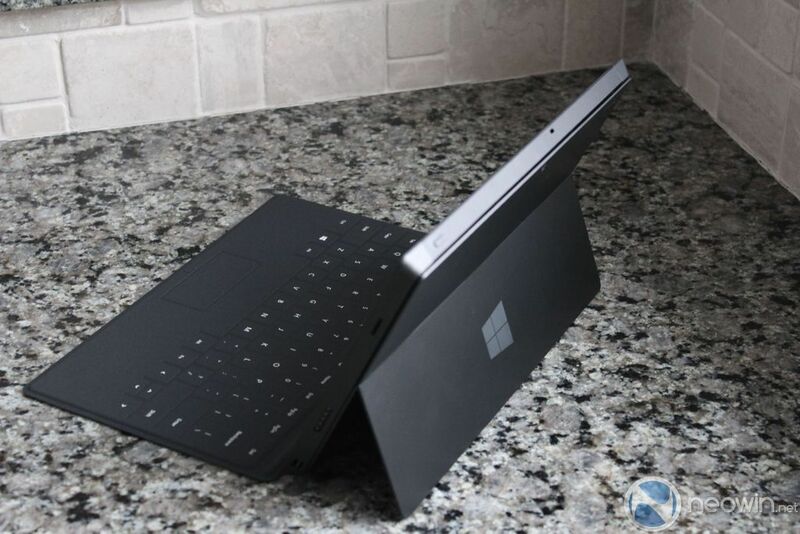 The Surface Pro is a fully functional laptop that has been packed into an extremely small form factor. 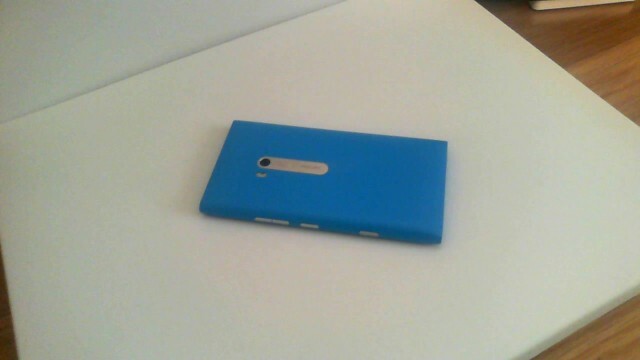 The form factor is quite similar to the Surface RT, but there are a few notable differences. 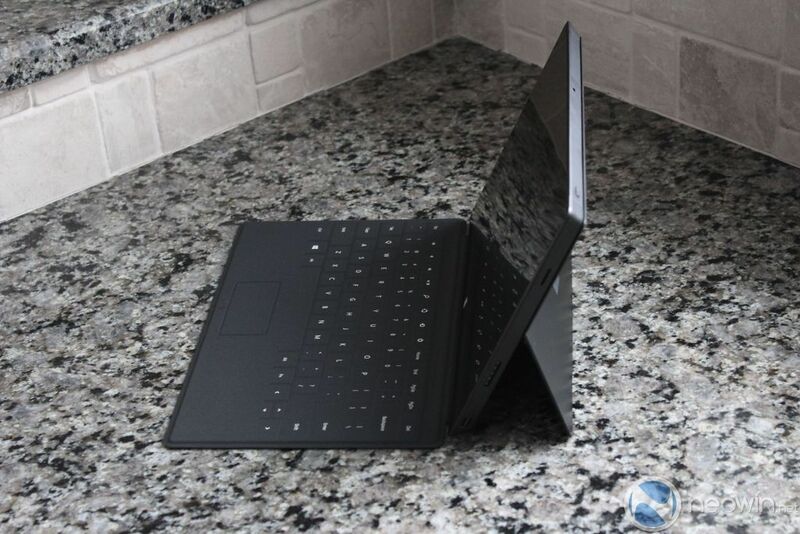 For one, the Surface Pro is a bit thicker than the RT (Pro is 13mm and the RT is 9.30mm) and the kickstand has been adjusted slightly to 26 degrees whereas the Surface RT sits at a 22 degree angle. Beyond these two differences, the physical appearance of the two tablets is quite close and it’s abundantly clear that they are a part of the same family of devices. The Surface Pro that we are reviewing is decked out to the nines with a 128GB SSD, 64GB SD card, black Type and Touch covers, and enough peripherals to truly make this one device, your complete mobile solution. To knock out all the features, the rundown includes a 10.6-inch, 16:9 display at 1920x1080, 3rd Gen Intel Core i5 processor with Intel HD Graphics 4000, 4GB of RAM, two 720p HD cameras (front-facing and rear-facing), a USB 3.0 port, Wi-Fi a/b/g/n, a microSDXC card slot, Mini DisplayPort, Cover port, 42 Wh battery, stereo speakers, Bluetooth 4.0, and a microphone. For the complete spec sheet, you can download the PDF here. When you pull the Surface Pro out of its box and you make contact with the VaporMag casing, the feeling of quality engulfs the senses as the mass of the device, which is about 2 lbs, gives you a sense of confidence that this is not a toy and it is designed for work. Even though the device is heavier than the Surface RT, it still feels fantastic in your hands - and I say hands because holding the 16:9 with one hand is a bit awkward; not impossible, but there are certainly some compromises in place for choosing a widescreen layout as opposed to a 4:3 display. This is where you have to begin to define the Surface Pro as a laptop, crammed into a tablet form, and not a tablet that also has laptop capabilities. I say this because, even though the Pro is only slightly thicker than the RT, when compared with tablet only devices, the Pro feels quite thick. 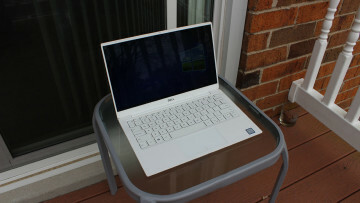 But, if you compare it to a notebook or Ultrabook, its thickness is certainly in line with expectations. One of the few complaints about the Surface RT was the weak magnets for the power connection. 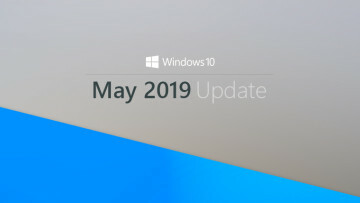 Fortunately, Microsoft has improved the strength of these magnets and connecting is a much easier affair with the Pro; we hope to see this improvement passed along to its RT sibling as well, perhaps in a hardware revision. It is now far easier to affix the power cord to the charging port and the connection snaps in with a reassuring click to let you know that the connection has been made. On top of the power connector is a small white light that indicates the device is connected and juice is flowing. It’s a good thing too that Microsoft increased the strength of these magnets, as they now play two roles: included with the Surface Pro is a pressure sensitive stylus that can be attached to the charging port for storage. We do wish that the stylus had a built in silo as we can imagine the stylus being knocked off when traveling in a laptop bag, but we must admit it is a creative use of the charging port when it is not in use. It is worth pointing out that the magnets in the stylus/Pro do hold the peripheral in place with confidence. Speaking of charging, while we typically don’t gush over power bricks, Microsoft has included a handy charging USB port directly on the power brick that makes charging an additional device a breeze. This is quite convenient as it reduces your need to carry another power brick for any device that can charge over USB. We should point out that it is only a 5W USB port, so larger items like iPads will take a considerable amount of time to refuel. 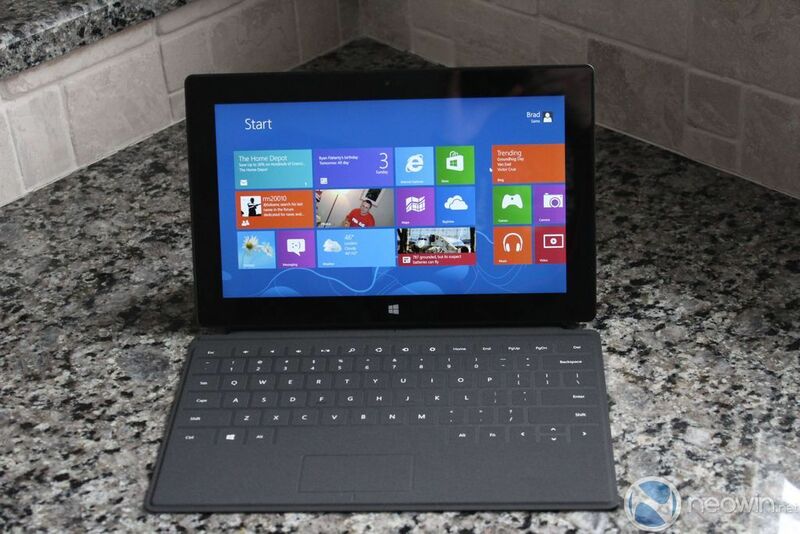 The display on the Surface Pro is top notch and it matched or exceeded our expectations. The 1920 x 1080 resolution is a much-needed improvement over the RT and the ten-point multitouch digitizer sweetens the deal. Viewing angles and color reproduction are fantastic and if you were to take the Pro on a plane and be stuck in the middle seat with two friendly companions on either side, they would have no issue watching a movie with you. The sweet spot for viewing the device is still head-on but if you find yourself off-center, even by a wide margin, the colors do not fade. Touch input is another key area in which the Surface performs in stride. As mentioned, the display can support up to ten touch points at one time and we had little issue with the accuracy and gestures that we initiated with the Pro. Swipes, taps, highlights and the like all responded in a timely fashion and the Pro never hesitated to react to inputs, while generally provide a pleasing experience when putting fingers to the glass. It’s hard to describe how much better the display is on the Pro than the RT and once you get used to this, going back to the RT is a drab experience. 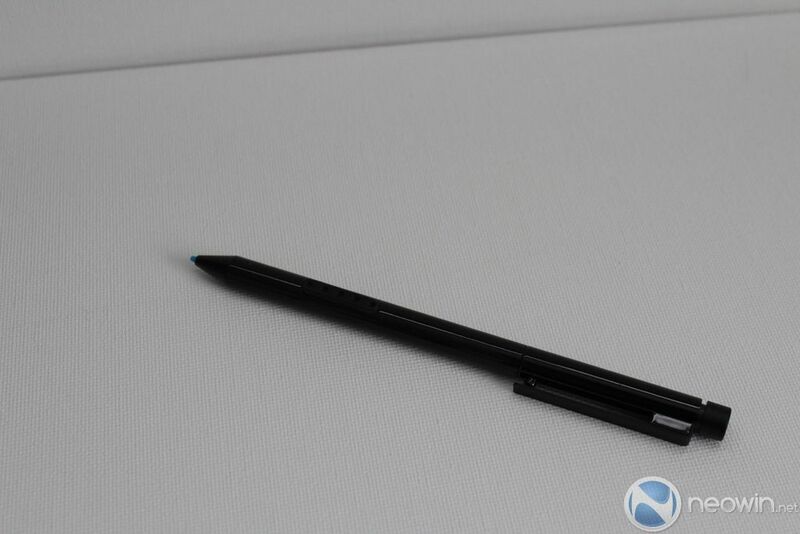 Microsoft has included a multifunction stylus with the Pro and uses Wacom technology that has 1024 levels of pressure sensitivity. The pen offers up pressure-sensitive input when writing, right-click capabilities and if the application supports it, the ability to erase content too. Conveniently, the stylus will attach to the magnetic port that is used for charging for traveling. Using the pen with OneNote is quite possibly our favorite thing about the Surface with Windows 8 Pro as it feels natural and easy to use, and the flexibility of the tablet allows you to keep moving through your day with only one device. Because the tablet packs Wacom technology under the hood, one thing you can do with the tablet is set it up to be a drawing pad. By connecting it to an external display through the mini DisplayPort, you can use the tablet as a drawing pad. While most may not use this feature on a daily basis, it is a neat addition and a use that many may not think of when purchasing the tablet. One complaint about the stylus is that it feels quite cheap. Compared to the Pro, which is made out of quality metals and clean lines, the stylus is all plastic and leaves room for improvement. The Surface Pro is, in its specs and its heart, a laptop; make no mistake about it, as our unit has a 128 GB SSD and a Core i5 processor, this machine has the power RT devices dream about. Using Windows 8 with the Pro, the machine was nimble, quiet, and to our surprise, we had no heat issues at all while running the machine. Seriously, Microsoft deserves some praise for the heat management and fan noise, it’s an incredible achievement compared to other machines as it is whisper quiet. Booting up the Pro is a dream as by the time you get done hitting the power button, flipping out the kickstand and finding a suitable surface to place the device on, it will be ready to go. Our machine was consistently able to get to the login screen from power-on in under ten seconds. Moving from the RT to the Pro will net you more horsepower under the hood, but this comes at the expense of battery life. We ran the Pro for several days from heavy video to light web surfing. On an average of six runs from full power to having the machine shut itself down, we scored an average of 4 hours and 29 minutes of battery life. Like any other products, when watching video, the battery will drain rapidly and only using word processing will allow you to sip the battery juice and extend the life of the device. We ran all tests with 75% brightness with WiFi and Bluetooth always on. The Surface Pro features a pair of stereo speakers, and as you would imagine on a device of this size, the speakers are bland at best. This is not a surprise as space is at a premium when everything is so tightly packed in, and without a proper cavity behind them, the tiny speakers never stood a chance at blowing your socks off. That being said, the speakers will work well for light listening and the occasional YouTube video. Don’t expect exhilarating highs or lows, but the mid-range holds up well enough to be used on occasion. Even so, we recommend brining your own cans for any serious listening. During our time with the Surface Pro, we were impressed at how quiet the machine is under normal load. During our review and even during our 3DMark test, you could hear the fans running but it's only when the machine is under a serious amount of stress that you could hear the fans kick up a notch. With any amount of ambient noise, you will likely not hear the Surface's fans and you will hardly feel hot air hitting your hands thanks to the many dispersal points on the product under normal operation. I recorded the sound of the fans when they were running at their max speed during the 3DMark test. 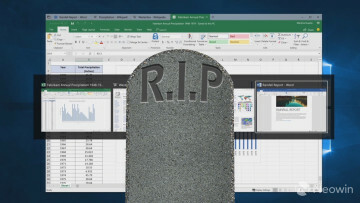 While you can certainly hear the fan when the machine is running at max capacity, for the most part, the Surface Pro remains silent and compared to a Samsung Series 7, for example, is much quieter during routine activities. The Surface Pro comes with Windows 8 Pro installed and a slew of applications that has caused some controversy before the tablet has gone on sale. Our 128 GB model had a little over 80 GB space free (20+GB was free on the device after it was setup and we downloaded a few essential applications, added our photos, music, videos and a bit more). While not a major issue, if you need more space, it can easily be added with the addition of a microSD card. Along with the Bing applications that come with Windows RT/Windows 8, one of the many questions about the Pro was if it would come with a copy of Office like the RT. 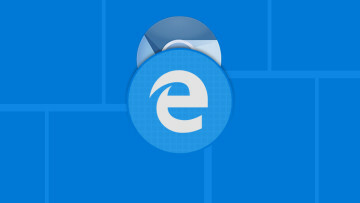 While Microsoft did state, many times, that Office would not come pre-installed, if you are new to Office 365, you can get a 30-day trial of the platform, and Microsoft includes an icon on the Start screen for easy access to this. 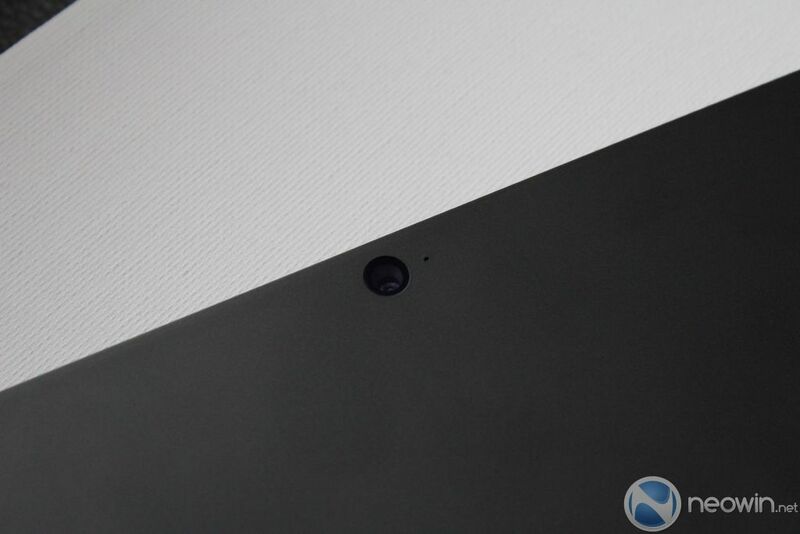 The Surface Pro has two cameras, one up front and the other on the rear. The front facing camera is nothing special but makes video calls easy to perform and delivers the type of quality we have come to expect out of a forward facing camera. The rear camera, like all other tablet cameras on the market, is adequate for your third-string setup if you are unable to find your DSLR/point-and-shoot or your cell phone. The pictures are grainy and will get the job done in a pinch, but don't expect anything marvellous out of it. Typically, I would crop the image above to cut-out the areas outside the white backer board for the image, but I wanted to show how an untouched image will look with the Surface Pro. The Surface Pro has been well-engineered and the build quality is absolutely incredible - but the problem with the Surface Pro is that it has an identity crisis. Let me explain what I mean. The RT is a lightweight, but incredibly versatile consumer machine with a lower price point and is directly targeted at the iPad/tablet market. The Surface Pro, as the name implies, is targeted at the laptop crowd and the enterprise environment and is priced to compete in these markets. When you look at the Pro, starting at $899 without a keyboard, you are given a tablet that is a bit thick and has poor battery life but has incredible power. But let’s face it, you won’t be using that power with touch input alone, you need a keyboard and mouse. Okay, so you opt for the $999 model with a keyboard, but that brings you to the same price point as the Yoga 13 which will have a better keyboard, larger screen, a more integrated form factor, and it bests the Surface Pro in most regards for usability while on the road. The Surface Pro lands somewhere between being a laptop and a notebook but in each class, has considerable compromises, whether in functionality or the price point for the specific target market. Another issue to note is that the Surface Pro simply does not work well on your lap. I preferred the Type cover, but trying to use the kickstand on my lap with the cover offered a poor experience. 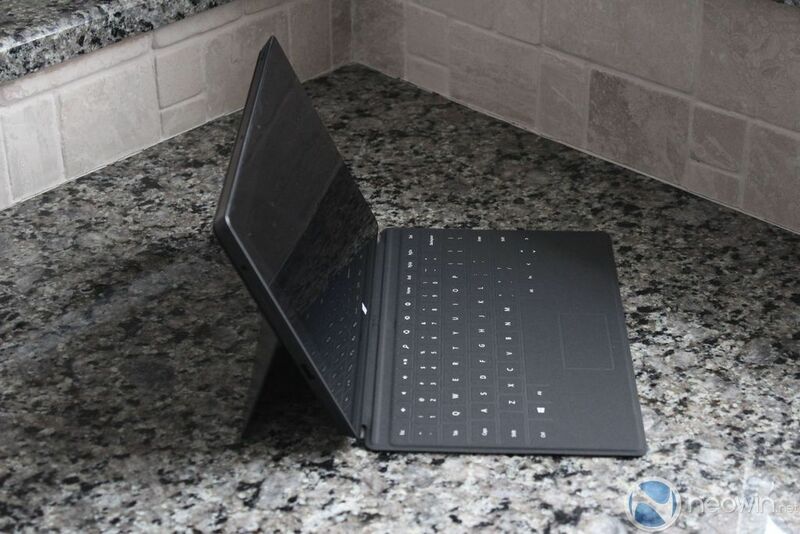 The keyboard flexes a considerable amount and the kickstand on your knees makes you feel nervous that it could topple at any time, which means for the road warrior, the Surface would not work well. It’s not all doom and gloom for the Surface Pro, far from it. It has incredible build quality, the screen is gorgeous, stylus input is fantastic, and it runs Windows 8 with ease - and for the right market, it will be the perfect device. It's clear that Microsoft has the vision the turn the Surface into the ideal device that will truly replace your tablet and your laptop. While the first iteration of the Surface Pro may not appease all users, Microsoft has the vision it needs and is headed down the right road.